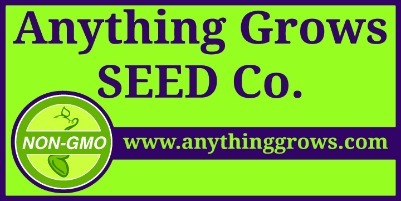 Personal information requested while creating your personalized "Web Account" is solely for Anything Grows Seed Co. internal use, so that we may properly contact you if need be. The information you provide here is also used to quickly fill in order form fields upon repeat visits to the site (so long as you are logged in). The information you provide while setting up an account is not shared with anyone. Our shopping cart software does NOT store credit card information.